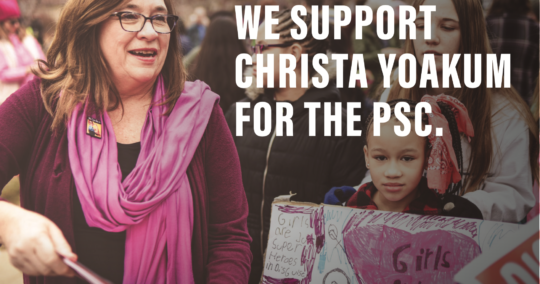 Letters to your local paper are very powerful tools to get your voice heard not only to your local community, but to elected officials as well since they read the local papers to get a gauge on how the public feels about key issues. You can also send similar letters to your church newsletter or send to your personal email list in order to spread the word. Start with a catchy opening and make your point clearly in the first paragraph. Papers have different guidelines, which are posted on their websites, but most require you to keep your letter to 200-250 words. State facts but don’t overuse numbers. Letters that explain why you personally are opposed to the pipeline help the reader connect with you more than if you just cite numbers. Bonus points if your letter references or rebuts a recently published pro-pipeline editorial or letter. It shows the editor you’re an active reader who wants to contribute to the discussion. A form or link to submit a letter is usually located somewhere on the letters/opinion page of your local newspaper’s website. Please be sure to send a link to your letter to mark@boldnebraska.org if it is published! 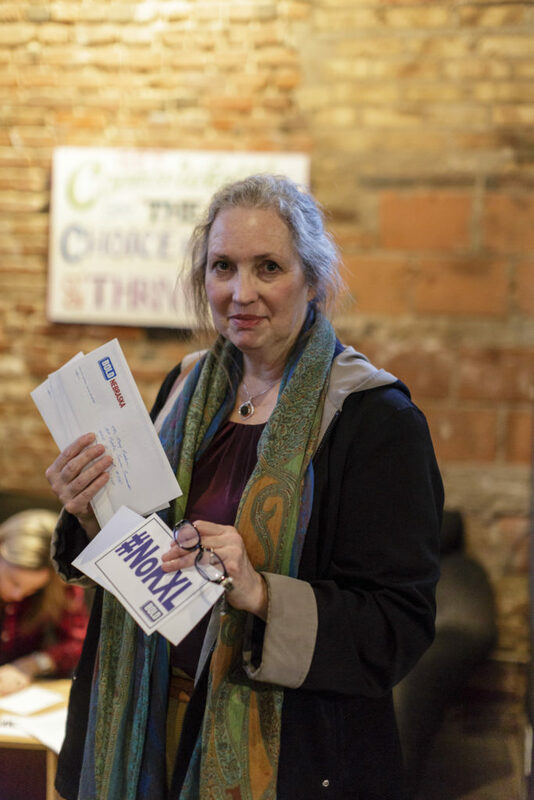 In her April 3 Midlands Voices, “Keystone XL is a gift to Nebraskans,” Roma Amundson wrote that leaks will not be a problem because pipeline leaks typically release no more than five barrels of oil. However, just last week, it was reported about 12,615 barrels of oil spilled as a result of a pipeline leak in North Dakota that the company now believes started on Dec. 1, 2016, and was not discovered until Dec. 5 because the leak detection system failed. The oil contaminated Ash Coulee Creek, which runs through private and public grazing land. 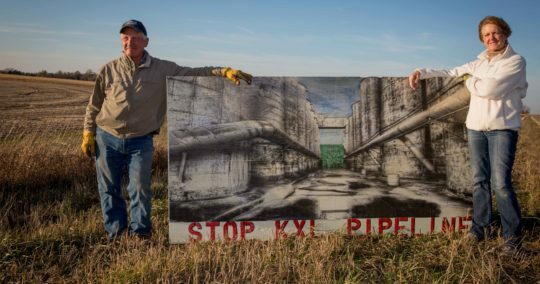 That pipeline was only 6 inches in diameter; KXL pipe will be 36 inches and will carry a much more toxic mixture. Can you imagine if this were any number of creeks in Nebraska where the surface water is, in many places, shallowly connected to groundwater that supplies wells for rural farms and towns? The largest oil pipeline spill on record is the 2013 Tesoro Logistics spill involving an estimated 20,600 barrels. Cleanup efforts are ongoing after four years. Nebraskans do not need the gift of toxic tar sands sludge spilling into our water and onto our agricultural land. The biggest benefit will go from Canada to China, where the oil will eventually be shipped. This is in response to the Mini Editorial and a Letter to the Editor in the March 12 Journal, both supporting the Keystone pipeline. The Ogallala aquifer that the pipeline would intersect is a large aquifer supplying nearly all the water for residential, agricultural and industrial use in eight High Plains states. It is also a shallow aquifer, with depths varying from surface level to 300 feet below the surface. Two million people and countless livestock depend on the aquifer for drinking water and other purposes. Spills – and there will be spills sooner or later – would pollute the aquifer with chemicals like benzene, which is a potent carcinogen. There would be no way to clean up the spills and prevent oil from migrating to the Ogallala aquifer. Have some in the Midwest taken on a Third World mentality, where a paycheck is all that matters? There is no substitute for clean water. One of the March 12 writers favors going forward with Keystone because he fears explosions near his home when railroads carrying oil pass nearby. Maybe he should relocate. Unreasonable? Think about two million people having to relocate because their water and soil is polluted. 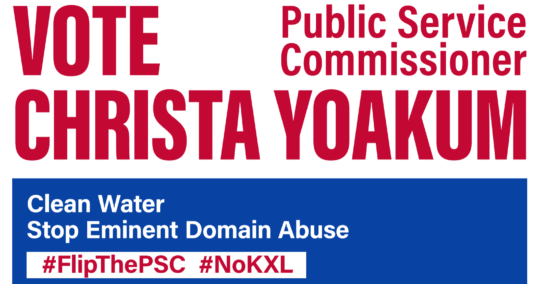 Recent TV ads by Keystone XL try to reassure us that Keystone would be safe “because the pipeline is underground.” In the case of the Ogallala aquifer that only means the pipeline would be closer to the water source when a spill happens. Regarding TransCanda’s use of eminent domain before they even have a permit to install the pipeline, who wants to do business with a company that is so arrogant and so presumptuous? How can TransCanada, headquartered in another country, come and tell Nebraska farmers and ranchers if they do not sign easements voluntarily, they will use eminent domain? The U.S. is a sovereignty, yet a foreign country is trying to invade U.S. sovereignty and tell U.S. citizens that, if they do not sign easements, they will disregard landowners’ rights and do what they want to do. I would think that a landowner would have the say-so regarding what is to be done with his property or on his property. If TransCanada is allowed to use eminent domain to accommodate its self-serving purposes, in the future, can any foreign country or foreign company come in and use eminent domain to accommodate its self-serving purposes? According to published reports, a Nebraska rancher dug down three feet on his property and there was the Ogallala aquifer. The proposed pipeline is to be four feet below the surface of the soil. Does this mean the pipeline could be lying in water in some areas? The product to be pumped is known as dilbit, which requires the addition of toxins in order to be pumpable and goes down, not up. With 1,200 pounds internal pressure, if a ½-inch hole developed and existed for one to six months, how much toxic dilbit would leak into the aquifer? If the pipeline is lying in or above water, can you imagine the damage that would be done to water for humans, livestock and crop irrigation? The power of eminent domain should never be allowed to be used by a foreign country or foreign company.